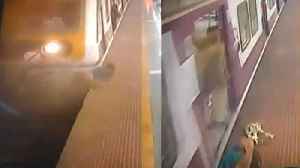 A woman on railway tracks suddenly realised about local train coming towards her. 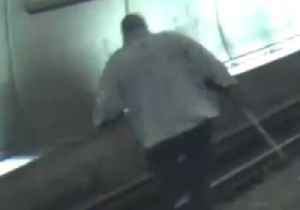 She was hit by the train; however she survived with minor injuries. 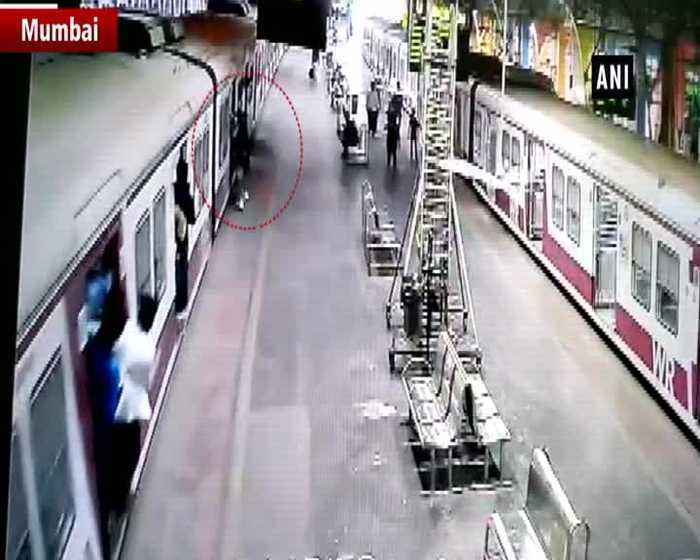 Railway Police Force (RPF) personnel and locals..
A heroic railway worker risked his life to drag a suicidal woman from the path of the train onto the platform just a second before the train arrived. 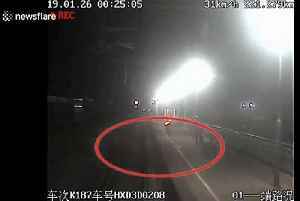 The terrifying video, shot in Cangzhou City in.. This is the shocking moment a brazen thief steals an iPhone from a man&apos;s shirt pocket as he buys a cup of tea. The pickpocket approached the victim while he was ordering the drink at the..